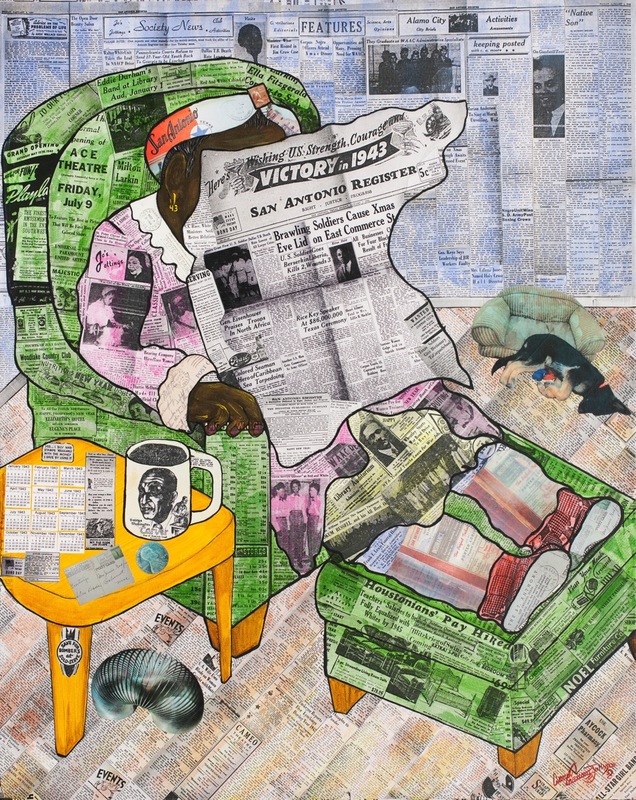 Work is made from a reproduction of Jan. 1943 issue of the San Antonio Register Newspaper. Images of items within the work were invented in 1943. The piece was done for San Antonio Tricentennial Celebration. Will be shown at Carvel Cultural Community Center.